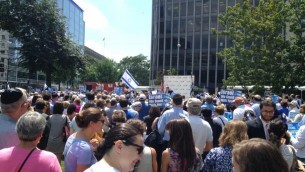 Today I stood amongst 1,000 members of my family one block from The White House in solidarity with Israel. These men, women, and children don’t share my name. They don’t share my likeness. But they are my brothers and sisters by religion. 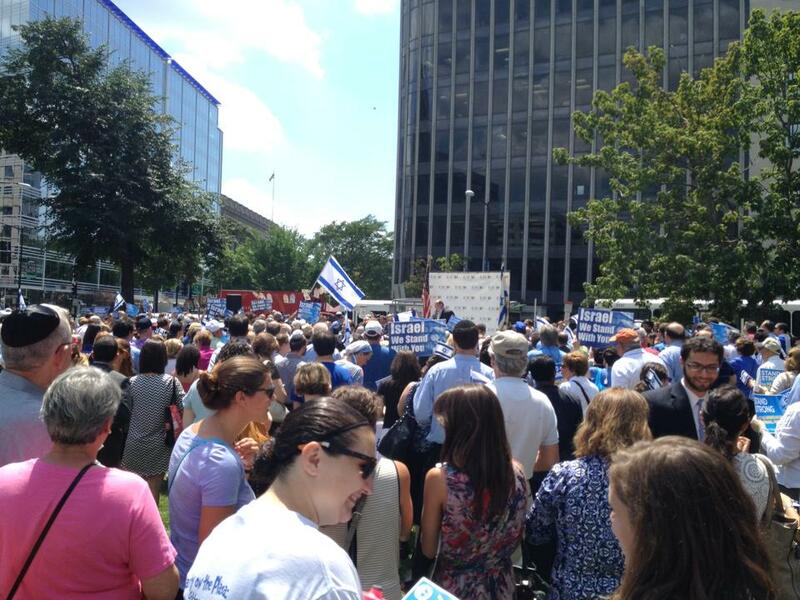 We, the Jewish community of the Greater Metropolitan Washington DC region, stood together – shoulder by shoulder – man, woman, and child – young, adult, and retired – as one to show our support for Israel’s right to defend itself and to call for peace and prosperity to come to the region. We stand strong for peace. We stand strong for Israel’s right to self-defense. We stand strong for the unbreakable U.S.-Israel partnership. We stand strong for the people of Israel. The words espoused by a long list of Jewish communal leaders, Rabbis, U.S. elected officials, and representatives of the Israeli government were said with clarity and conviction. They reinforced these four messages. We stand strong for peace, for Israel’s right to self-defense, for the unbreakable U.S.-Israel partnership, and for the people of Israel. I couldn’t discern the words said by the few protesters. In the online reports of the rally and protest after-the-fact, those interviewed spoke of a Free Palestine. They didn’t speak of Hamas. They don’t understand how those two things are extrinsically linked. To attain a Free Palestine, wouldn’t they stand for peace over terror? To attain a Free Palestine, wouldn’t they want to no longer provoke a Democratic Israel to respond by indiscriminately firing thousands of rockets into its land? To attain a Free Palestine, wouldn’t they rather negotiate a brokered long-lasting peace deal between partners – such as Egypt or the U.S. – rather than call it a joke. 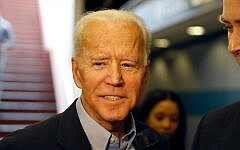 To attain a Free Palestine, wouldn’t they stand with the multicultural and religious communities across Israel rather than threaten them with the same rockets sent indiscriminately into the Jewish State that welcomes peaceful people of all religions to live, vote, pray, and prosper in its land? To attain a Free Palestine, why would they send rockets towards Israel and Jerusalem at all? Israel’s everlasting capital Jerusalem is Islam’s third most holy site. And if it weren’t for the U.S. support and Israel’s innovation to develop the Iron Dome, one of those indiscriminately fired rockets could have hit another dome – The Dome of the Rock. 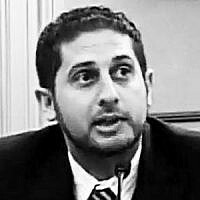 This evening I was scheduled to hear from U.S. Secretary of State John Kerry, the man charged with the latest U.S. attempts to broker a peace deal. He was to present at the Jewish Primary Day School of the Nation’s Capital Yitzhak Rabin Memorial Lecture. Understandably this event had to be postponed. Yet, as I walked to Sixth & I Historic Synagogue in our nation’s capital for the lecture with a friend, before I heard of its cancelation, my friend and I exchanged stories of our days traveling in Israel. 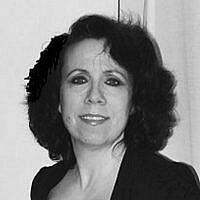 She spoke of fond memories of helping Israeli and Palestinian children in need equally as she volunteered at a hospital in Ashkelon and of purchasing and distributing Aroma salads for the homeless in Tel Aviv. I spoke of my travels across Israel, of my professional and volunteer work advocating on behalf of Israel, of this blog, and of my upcoming trip in September; but I was also thinking of the last time I was in Rabin Square in Tel Aviv. From standing in Farragut Square seven hours earlier singing the Hatikvah and Salaam (Od yavo’ shalom aleinu) – I pictured standing in Rabin Square with Israeli students, IDF soldiers, and American young professionals singing those same songs during my last visit to The Jewish State. Then I was leading a Taglit-Birthright trip. Today I was standing in a DC rally. Yesterday I was trying to conduct a sociological experiment. As rockets crossed the Israeli border and threatened the lives of millions of innocent Israelis the media in the United States has provided a mixed message to the American people. This has led to part of the misunderstanding of the challenges 6,000 miles away. I don’t blame media as others do. They’re simply one channel of information and we’re living in an Information Age. If someone was motivated enough to learn about something/anything, they have endless sources of primary and secondary materials to research said issue and come to an educated point-of-view upon it. But the mixed messages don’t help for the unmotivated who just accept what is told to them as blind facts. National television media in the U.S. over the last week has opened, generally with one of two stories: 1) the barrage of rockets fired across Israel’s border and the IDF response in Gaza; or 2) the barrage of children illegally immigrating into the United States across our southern border. Rockets cross Israel’s border to create instability and fear. Latino children cross America’s border to flee instability and fear. Both are humanitarian challenges indeed but the former highlights an existential threat to a people. The ladder highlights changing political, cultural, and socio-economics of a people. I can’t sympathize for those who enter the U.S. illegally, but comparing these two is pretty much like comparing what I am about to compare and what this blog post is entitled. On Kickstarter, I applied to write an eBook about the process of crowdfunding to purchase humanitarian aid needs – medicine, food, and fuel – for all people affected by terror indiscriminate of their race, religion, creed, or nationality. If they were victimized by terror they deserve humanitarian aid. Innocent people have lost loved ones in Israel, Gaza, Syria, Iraq, Egypt, the United States, Afghanistan, in Africa, etc etc etc. Tomorrow, July 18, is also the 20th anniversary of the AMIA bombing in Argentina. It is all sad. It is all terrible. It all needs to stop. Until it stops, humanitarian aid is needed. 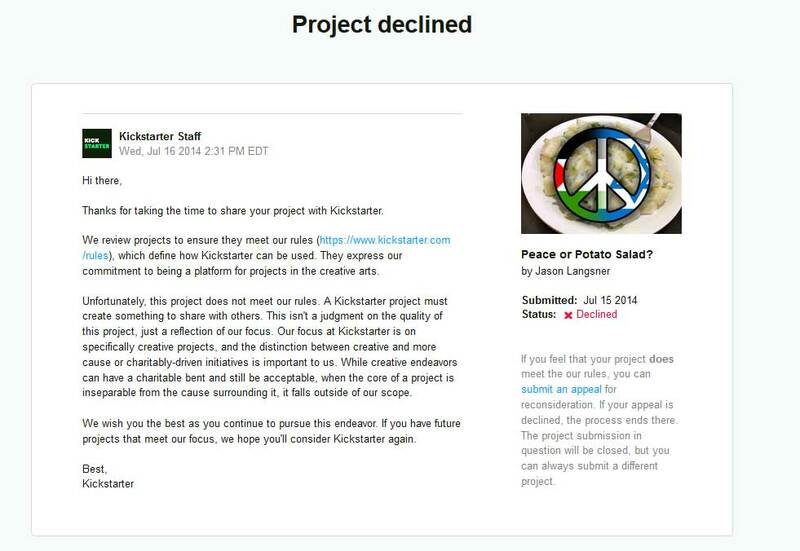 So my question was is “peace more important than potato salad?” And it is easy to test: could I raise $50,000 or more on Kickstarter to crowdfund for humanitarian aid? Unfortunately, Kickstarter has declined my program. I will appeal. I will use this blog post to appeal. I may win the appeal. I may not. But as a sociological experiment, I am out to test a hypothesis not to create facts. As a pro-Israel supporter and a strong believer in a two-state solution, I know this question is ridiculous. It is as ridiculous to me as those handful of protesters today trying to scream over 1,000 individuals who want peace for Israel and peace for Palestinians. 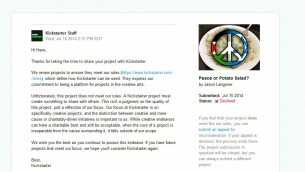 Kickstarter: Peace or Potato Salad?